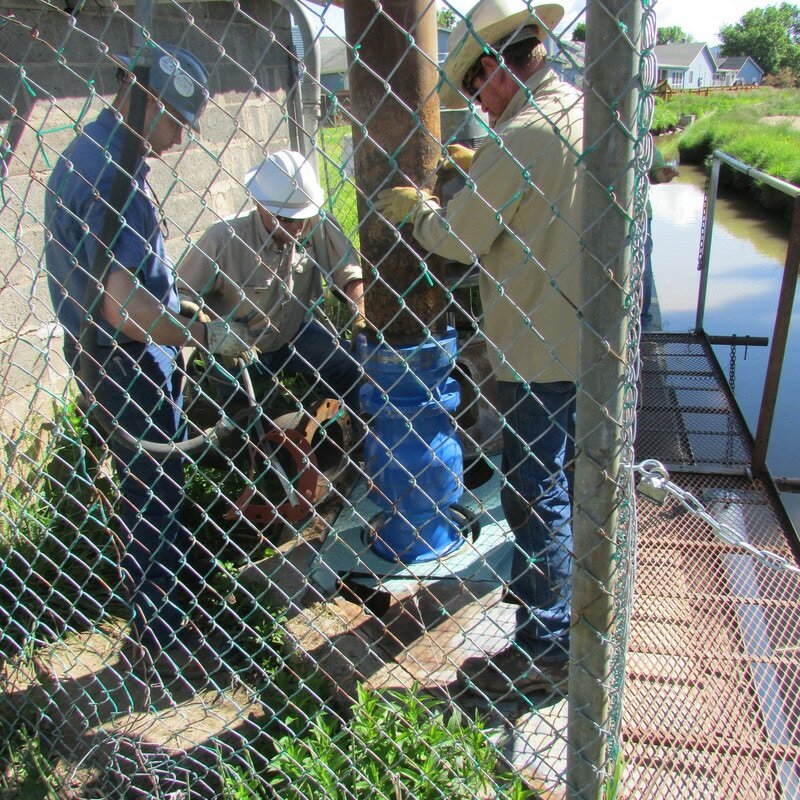 The Fremont Conservation District received funding from the Colorado State Conservation Board’s Matching Grant program to assist the Fruitland Water Company in replacing one of their pumps and motors. 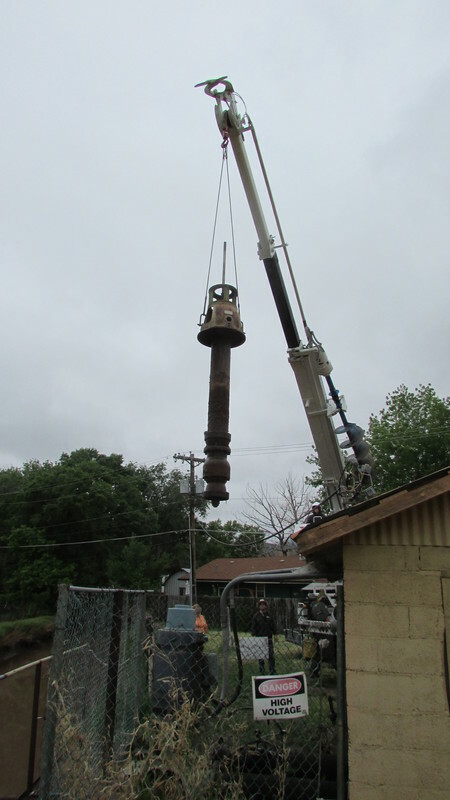 The pump that was replaced was a 60 hp pump that was installed in 1975. The pump and motor were completely worn out from 40 years of work, and their other pump was not in much better shape. Our staff assisted them in upgrading to a new 75 hp variable speed drive pump that will increase water quantity and energy efficiency. 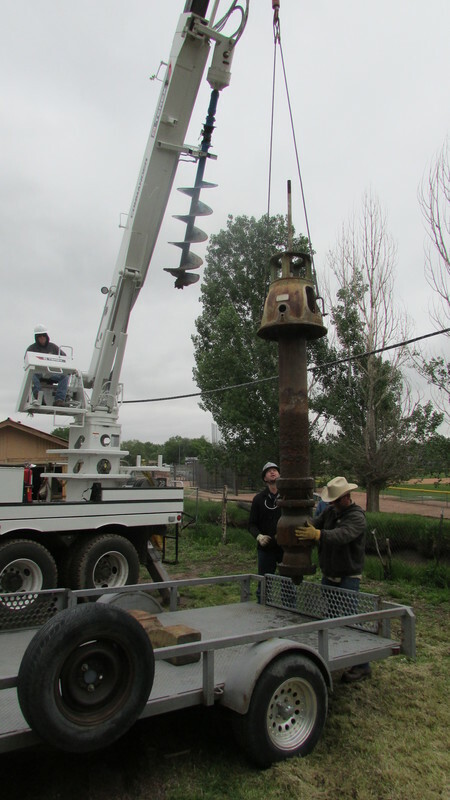 The Canon City Field Office NRCS staff, Rick Romano (DC) and Rob Fontaine (Engineer Tech), were also helpful in getting this project on the ground and completed. Doug Burford, ditch rider for the Fruitland Water Company, was instrumental in this project for his knowledge of the water needs for the ditch company. 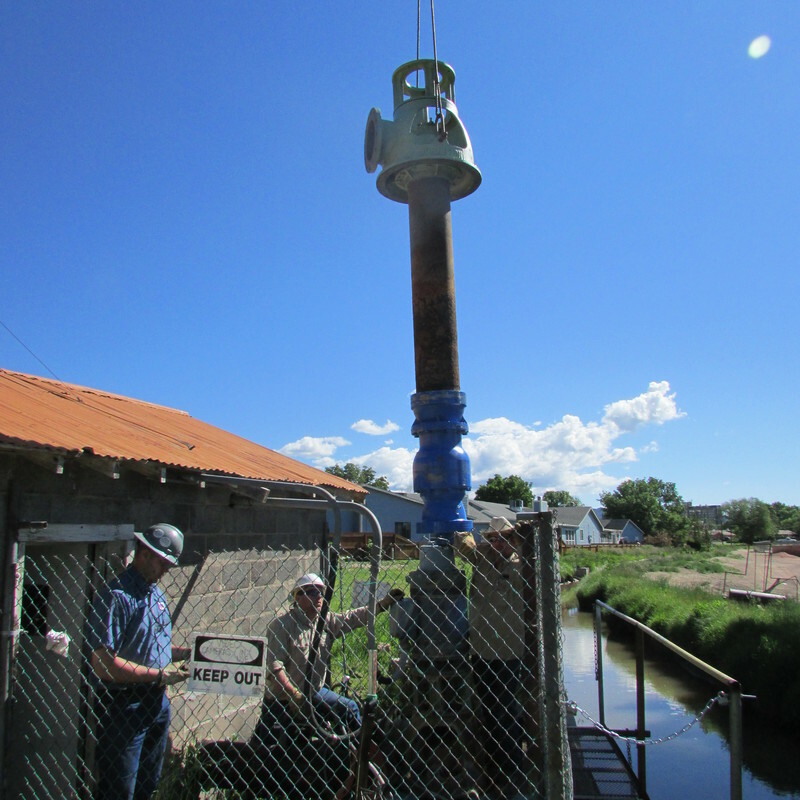 Black Hills Energy Company also provided a crane and manpower to remove the old pump and install the new pump. Along with the new pump, a flume was installed in November and data recording equipment will be installed in 2016 for more accurate water readings. This ditch serves 140 landowners with approximately 300 acres of hay fields and lawns that need irrigating. The Fremont CD also held a Hydrology Workshop in August 2015 for landowners on the Ditch, local ditch companies, and other interested landowners in the area. Our guest speakers were both experts in the field of Hydrology; Professor Marty Frisbee of Purdue University, and Mr. Brett Jordan with HydroGeo Designs, LLC. Mr. Frisbee gave his presentation on groundwater and surface hydrology, and Mr. Jordan gave his presentation on erosion, river flow and river restoration. Both presentation were well received by those in attendance for the morning. The Fremont CD will follow up with the ditch company for three years to ensure energy savings from this new pump, and continue to encourage water conservation to all landowners! !